Great works are judged on material reality, not the ethics of those that are creating them, says Sean Griffiths, in response to the uproar over unpaid internships in architecture. Take Thomas Heatherwick's project, the Vessel in New York. This erection, to call it something that chimes with some of the more unflattering monikers it has acquired, has been condemned as not only a vacuous monument to, but a prime example of, the city's colonisation by capital. Such criticisms suggest that the object's dazzling surfaces blind us to the privatisation and commodification of New York's urban spaces. But is it right to blame the designer for the political reality in which he operates? 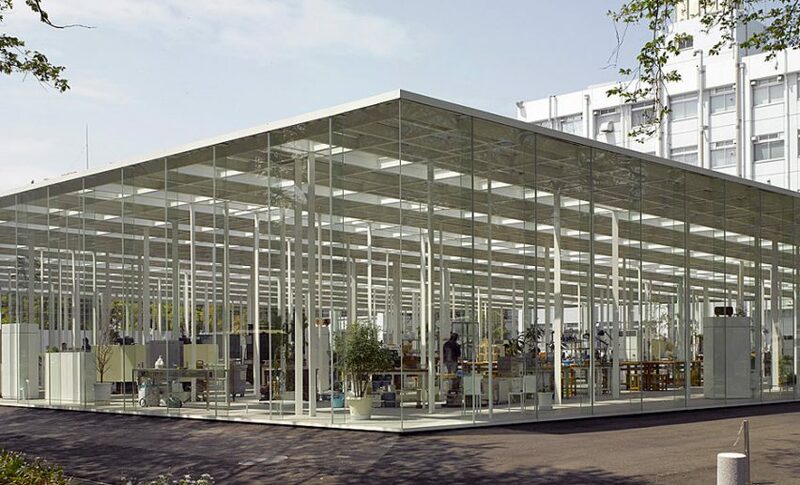 If this structure is a commodity, then so is Heatherwick himself, as indeed are other sought-after architects like Junya Ishigami, recently awarded this year's prestigious Serpentine Pavilion commission. It has emerged however, that Ishigami has been mobilising his commodity status by offering association with his name to aspiring young architects in return for free labour. We were seduced by a masochistic form of practice, fetishised within architectural culture, that begins in schools of architecture with the tradition of the "all-nighter" combined with a subsequent assassination of one's sleep-deprived character by a gang of know-it-all tutors. Such a practice, if prosecuted upon political dissidents would be deemed illegal. If the rights and wrongs are fairly clear here, a somewhat trickier question is how we evaluate works of architecture that are the products of seemingly unethical practices. How, for example, do I reconcile my disapproval of Ishigami's use of unpaid labour, with my admiration for his work? Does Aravena's guilt devalue his methods which have benefitted communities of limited means in South America? There are countless buildings littering the canon of architectural history whose provenance is unsavoury. I doubt, for instance, that much attention was paid to health and safety when constructing the Pyramids, but we don't value them less highly for this. I find this notion philosophically problematic. For is not socially engaged practice as susceptible to commodification as other forms of practice? The work of the artist, Theaster Gates is driven by a social conscience, but also sells for hundreds of thousands of dollars. To his credit Gates reinvests the proceeds back into his local community on Chicago's south side. But does the commodification of his work not also shore up a social reality that impoverishes those communities in the first place? Thus, they can enjoy their object's accelerating value, and avoid confronting the political realities, of which such collectors are the beneficiaries, that cause the issues driving the work in the first place. I wonder, for example, whether the meaning of FAT's social housing project, Islington Square in Manchester, whose aesthetic was inspired by the DIY interiors of the homes of those who were to be its residents, can be said to embody the working-class culture of that community? The building's appearance might signify that idea, but does it embody it? And would the intended signification of "working-class culture" endure, where the houses to fall into the hands of private landlords, or wealthy home owners? In other words, would the putative meaning remain stable under these new material conditions? This means that while we might encourage socially ethical practices, there are no non-material socially ethical aesthetics that can be intrinsic to an object's meaning.